As a Penn State student Mary Elizabeth McCulloch founded Project Vive as a way to develop low-cost technologies that give voice to the voiceless. On Wednesday night at Happy Valley Launchbox, she will do just that. Aryln Edelstein of Johnstown, who has non-verbal cerebral palsy, will utilize Vive's Voz Box technology to present her poetry to the public for the first time, with the theme of "My Voice, My Power." "This is a really exciting event for her," McCulloch said. "One of the first things she said when we fitted the device on her was, I asked her what do you like to do and she said 'Write poetry.' I had no idea and I had been working with her for about a month. We decided to have our own event to showcase it and make it her night." McCulloch first connected with Edelstein in July after Edelstein's nephew, who lived in the State College area, reached out to Vive. The Voz Box device Edelstein is using allows her to construct words, phrases and sentences using a foot pedal mounted on her wheelchair footrest. That acts as a kind of keyboard to allow her to select words from a customizable vocabulary created through Vive's editing software. After she has selected her words they are amplified through a Bluetooth-linked speaker. Wednesday's event is at 6 p.m. at the Launchbox, 224 S. Allen St. and it is free and open to the public. Musical artist Isaac Moyer will perform before and after Edelstein. "It's going to allow Arlyn to share her poetry and and really show what the Voz Box can do for people with disabilities, specifically complex communications needs," McCulloch said. "The public can see this and if they have loved ones that can use this technology they can reach out to us. There are a vast varieties of opportunities this can open for a person who has complex communication needs." McCulloch, who graduated from Penn State in May with degrees in bioengineering and biomedical engineering, first became interested in creating the technology while working with children with a variety of needs at an orphanage in Ecuador and she realized the lack of available, affordable technology to assist those who are non-verbal or have complex communications needs. She plans to attend medical school in the next year or two -- she has deferred her acceptance to Thomas Jefferson University -- and she has learned Spanish to help her in her future career. She wants to be able to not only help the Latino population in the U.S., but also be able to help those who are bilingual and have communications needs. "The Voz Box can help communicating pain for somebody that is talking to a doctor," McCulloch said. 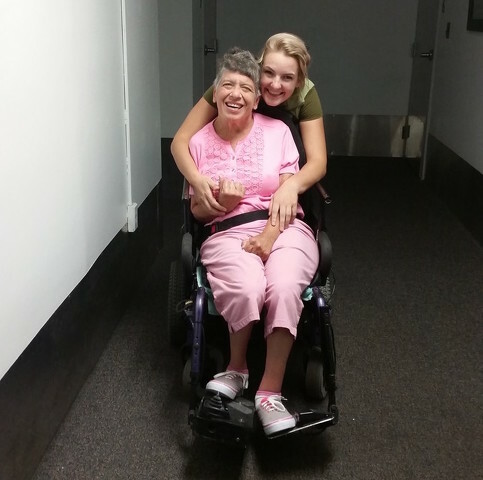 "That can be life-changing for someone that can't talk and needs caregivers to figure out why they're upset or what hurts. That ties into me wanting to be a doctor and will be helpful in the future." While there are devices on the market for speech assistance, many cost $16,000 and up without maintenance or warranties. Vive devices are currently in user and data testing, but once on the market are expected to cost a fraction of that. "Our biggest point is we're an affordable speech generation device," McCulloch said. "We're a way to give access to communication assistance." McCulloch expects once she does enter medical school, she will take on more of an advisory role with the company. Vive currently has six programmers and engineers and two marketing interns working alongside McCulloch. Vive is among the first group of five local startups selected for Happy Valley Launchbox, the no-cost business accelerator developed by Penn State in collaboration with local government and businesses. The location gives selected businesses startup training, legal and marketing consulting and nine months of free co-working space. "That has been so helpful especially when we're not yet selling any products and we're in closed data testing right now," McCulloch said. "We're able to have a roof over our heads, a place to store our devices and have 24-hour access to the building and also be so close to the university and all its resources. It's a great location." The company also has been working with Easter Seals of Southeastern Pennsylvania on using Vive technology toi mprove adaptive toys for children with disabilities. On Wednesday night, Edelstein, who's poetry is inspired by nature and life with cerebral palsy, will show first hand the life-changing possibilities of this student-invented technology. "We're excited for this opportunity for Arlyn and to help break the stigma of disabilities, and for people to see Arlyn for who she really is," McCulloch said. Penn State coach James Franklin doesn't talk about injuries, usually. But Penn State's linebacker situation is hardly of the usual variety. 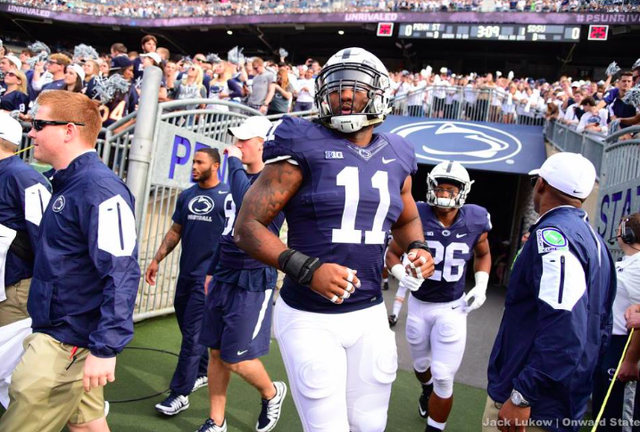 All three starters missing multiple games, Nyeem Wartman-White a second straight year with a season ending injury, Brandon Bell and Jason Cabinda leg and hand injuries respectively.